Weather vector graphics of falling snow and a rainbow. 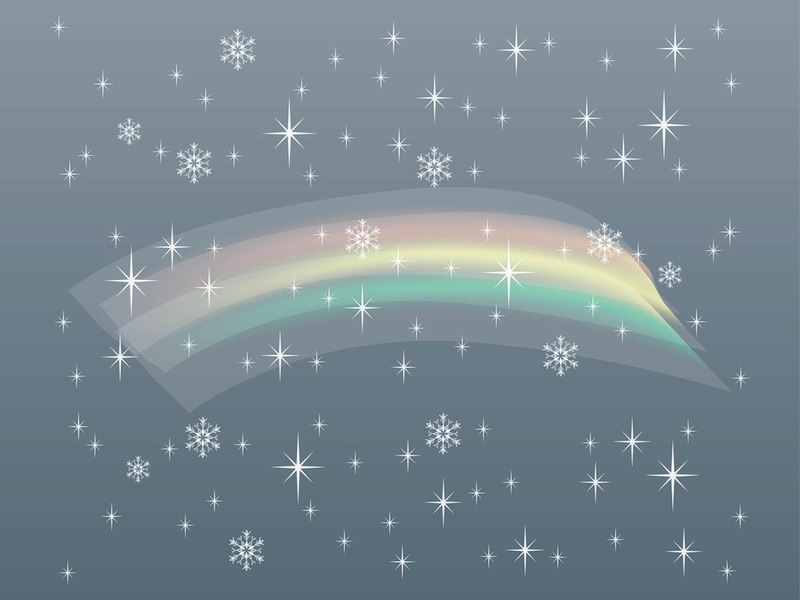 Pale colors on the arched rainbow, detailed snowflakes and sparkles with long rays. Free vector graphics for all your sky, weather, snowing, seasons, seasonal and nature projects. Download free snow illustration for your backgrounds and wallpapers. Tags: Abstract, Background, Shines, Snowflakes, Sparkles, Stars, Weather.